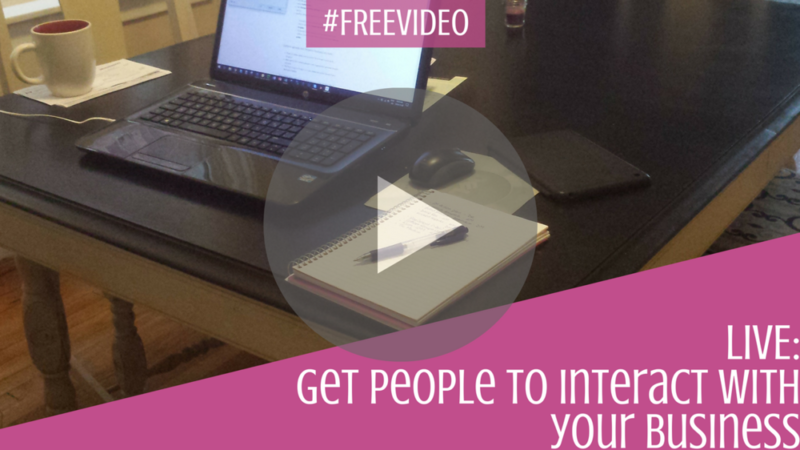 You want people to interact with your business. So you write, re-write and practice your elevator speech. PFFT. That’s almost a sure fire way to get people to turn down their eyes and back away slowly. Probably not what you were hoping for, right? If you want to figure out how to get people to interact with you, then try some of the tips I gave recently to my Facebook fans. I covered everything from social media to network marketers and even face-to-face meetings. For example, I told a story about an old friend who re-connected with me on Facebook. Except she was only trying to sell to me. If you liked this video, join me live tomorrow (December 8th) at 11am EST. I’ll be talking about lead magnets so you can figure out exactly what you should be offering. Don’t forget to register for the FREE webinar on December 15th. I’m going to show network marketers how to recruit online so they can add more customers and team members to their business every day.